What Helps Back to School Anxiety and Performance? It's that time of year when a new school-year is starting and parents and teachers are looking for ideas to help kids with back to school stress and anxiety. In this article, NYC psychotherapist and Certified NeurOptimal Trainer Alison Pepper, LCSW, child therapy specialist, explains how neurofeedback training in conjunction with therapy can be a powerful support for kids to reduce their back to school fears and help with classroom performance. The goal: for students to ease into a new school year with more confidence and focus. What are signs of Stress in a child? Going back to school can be a very stressful time. Your child or teenager may experience sleepless nights, worrying thoughts and be more nervous than usual. If your child is feeling anxious about going back to school, some signs to look out for are; regression in maturity, bedwetting, nightmares, as well as acting out (yelling, fighting, door slamming). The stress of a new school year, new teacher, and new classmates can be overwhelming for many children. Neurofeedback training or therapy – or both – can help. How Does Neurofeedback help Coping With Stress? Neurofeedback is a noninvasive holistic brain training that helps build resilience and flexibility. At Neurofeedback Training Co., we use the NeurOptimal® Advanced Brain Training Systems developed by Zengar Institute. It works by training the brain to use present moment information to decide what to do next, rather than old, often out-of-date information. Rooted in technology, designed by clinical psychologists and developed in part by NASA-level engineers, the NeurOptimal neurofeedback system works by triggering the orienting response, which is the brain’s ability to sense change in the environment and take in new information about what is different millisecond by millisecond. When we are in an anxious state, much of our suffering comes from pervasive recurring thoughts and feelings in which our minds (our automatic-functioning-brain) become emotionally stranded or cognitively “stuck”. Neurofeedback prompts the brain to draw from its existing resources and pull itself out of these mental “ruts”. The result is a more open and positive mindset in which obstacles are more manageable and problems more resolvable. Much like physical training for the body, neurofeedback training is a work-out for the brain. It can be one of the most effective way at helping the brain stay out of the fight or flight response and stay in a more open, calm, focused, and resilient state. How does Neurofeedback and Therapy work together? 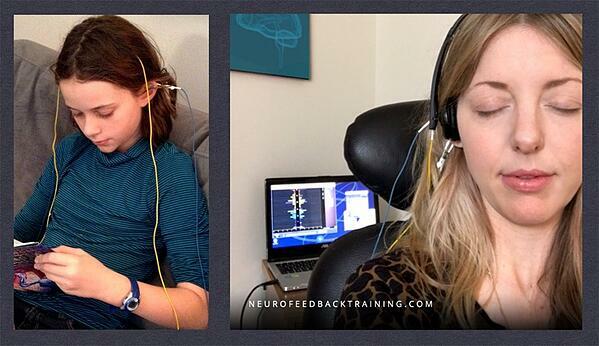 At our NYC Neurofeedback Clinic, neurofeedback can also be combined with talk therapy. By combining the two, one gets the supportive holding environment of working with a therapist as well as the powerful brain training effects of neurofeedback. Neurofeedback will keep the central nervous system regulated and out of the fight or flight response to benefit most from the learning and processing taking place with the conscious brain in the therapy session. Therapy can be a safe space for kids to process thoughts and feelings. It is unique and different for every person, child or adult. It is also important for parents to remember that therapy for kids is not the same as psychotherapy for adults. How so? Because a child's main language is play and children learn and communicate through play therapy a therapy session for a child will also include other nonverbal modalities like: play therapy, dance therapy, biblio therapy, art therapy, music therapy, and nature therapy. 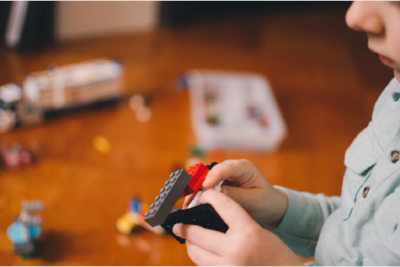 Many children and teens have problems that affect how they feel, act, or learn and the therapeutic space, or playroom, can be a safe place for children of all ages to explore thoughts and feelings in a creative way. The sessions vary; your child's therapy session might be loud and messy and the next session may be quiet and still. When it comes to therapy for children, there is space for everyone and everything in a playroom. All are welcome; all parts of a family and child are welcomed and allowed to express oneself during a therapy session. 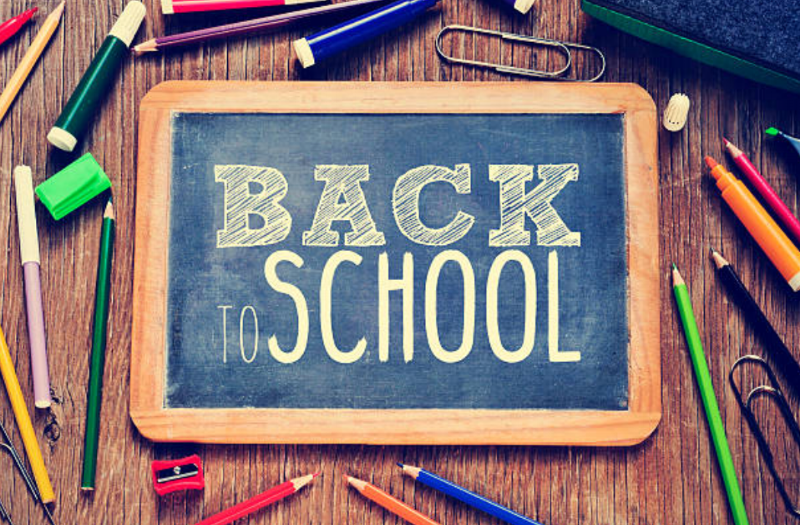 To learn more how neurofeedback and or therapy could help you and your family in New York City this back to school season contact Alison to set up a session or schedule a free 15 minute phone consultation. ABOUT THE AUTHOR: Alison Pepper is a NYC Therapist and a Neurofeedback Trainer working with families and children dealing with mental health issues; with an emphasis on trauma informed work. She's a bilingual therapist for over seven years (fluent in both English and Spanish), SIFI certified, and a meditation teacher. She is also a Certified NeurOptimal® Neurofeedback Trainer at Neurofeedback Training Co. in NYC.